Every once in a while, everything about a farming story is new to me, and an exhilarating discovery. Like this one: the story of a strawberry farmer in Palestine, a place which features frequently in the headlines but rarely for farming. 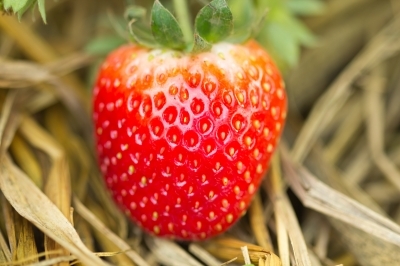 There are only 20 strawberry farmers in the country! There was a time when Osama Abu Al-Rub worried about the poor yield from his land but by adopting new techniques including precision irrigation, he was able to change his fortunes. His crop is awaited and coveted in the market. There is hope and there are dreams, for his daughter who is studying agriculture, and for his country. And watching the young women farmers visiting the farm, eager to learn, it is easy to believe that all those goals will be achieved.